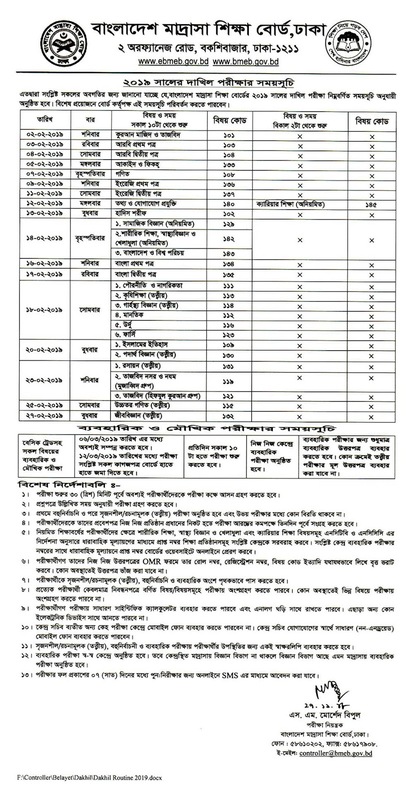 Today 22 November 2018, SSC and Dakhil Exam Routine 2019 is published by Dhaka Education Board. Exam will start from 2 February 2019. First exam is Bengali. SSC and Dakhil Exam Routine will be published soon. As soon as the SSC exam routine is published you can download it. 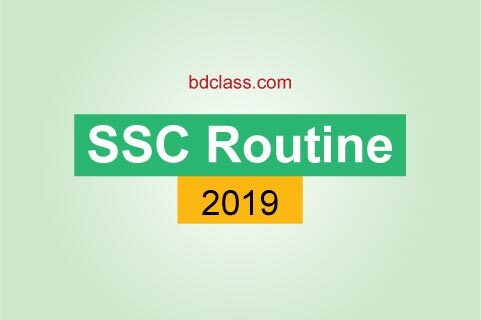 When will SSC Exam Routine 2019 be Published? Last year, Dhaka Education Board published SSC and Dakhil exam routine on 22 November 2017. Today is the same date of 2018 so we can expect that today or tomorrow, very soon SSC Examination Routine 2019 will be published. How to Download SSC Exam Routine 2019? 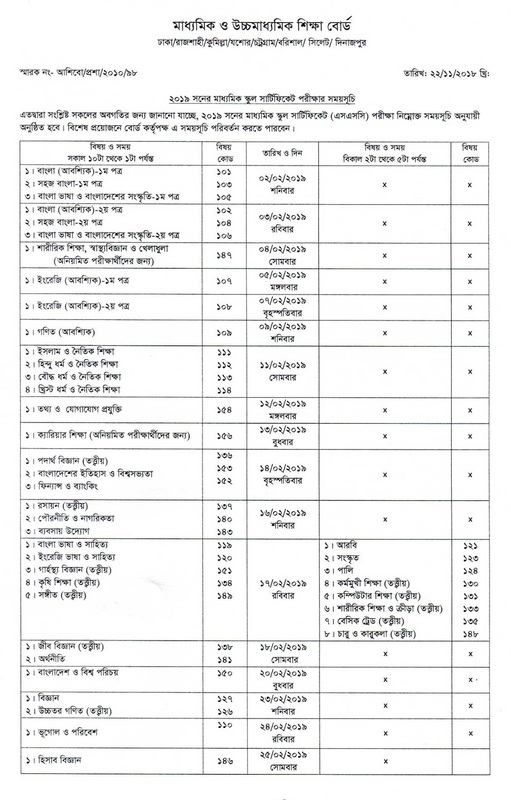 Dhaka education board always publishes SSC and HSC routine of all education boards as Inter Education Board Committee. Dhaka Education Board publishes routine on their website. You can download it from there. Or you can also download it from the link below.